Janelle In Real Life: fun facts. I love a good high waisted skirt. Also, I decided I need to start sharing some facts about myself with you guys so you can, you know, get to know me and stuff. Here we go with round 1. I majored in Sociology in college which helped me to learn to care more for the disadvantaged. I LOVE the major I chose. I'm considered a political liberal in Utah... but would probably be considered conservative anywhere else. And don't forget to enter the JJ Walters Designs bracelet giveaway that ends this Friday! I love Friends, The O.C., and house! I used to watch one tree hill but I stopped at season 5 and just didn't ever continue with it. I also love scrubs....its probably my favorite. I played field hockey in high school for a year a did not improve throughout the whole season. Sports are not my thing! Great skirt! I am starting to really enjoy a high waisted skirt these days myself! I love this skirt! It looks great on you! there's nothing like Dr. Pepper, girl! With you on that! 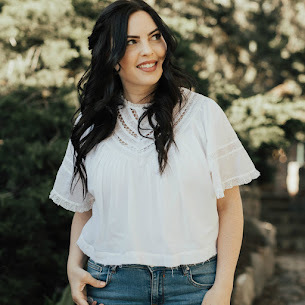 cute look, and post Heart of Chic -- Don't forget to enter my giveaway! XO! Great look!! And that ring was homemade!?! Seriously want one! High waisted skirts are one of my favorites too! I just love the shape they create! I like high waisted skirts but my husband doesn't like when I wear them! It was fun to read these different facts about you!